Haruko Obokata was reportedly questioned by police in Japan today. 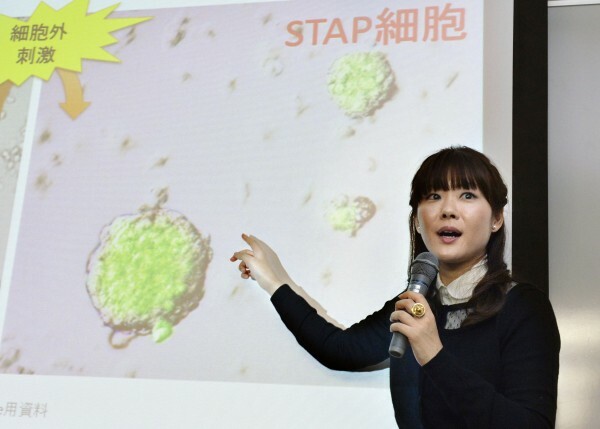 The questioning relates to the STAP cell scandal that led to the retraction of two Nature papers. I’ve been critical of the whole STAP affair in the past, but even so the idea of scientists being questioned by police is unsettling. 1. Generally speaking, research misconduct often involves crimes like misuse of public funds. As documented by sites like Retraction Watch, some cases of research misconduct in several countries have led to jail sentences. So police investigations in the wake of institutional findings of guilt in research misconduct cases are a reminder of the seriousness of the offense, but seems inevitable in at least some cases. 2A. Officially, the questioning of Obokata (over a year after the criminal complaint was filed) has no connection whatsoever with her having just published a best-selling book last month. The timing is officially purely coincidental. But obviously the publication of the book put the case back on the front burner and it’s reasonable to infer that the police felt obligated to show they were doing something. 3. The 64 Billion Yen question is whether there will be an arrest and/or indictment and/or conviction (white collar crime suspects are sometimes indicted without being arrested in Japan, especially in cases where they admit their guilt and/or the penalty is likely to be only a fine or suspended sentence). All we can do is wait and see. My personal guess is no. After all, the accusation involves a charge that a Riken researcher (Obokata, at the time the experiments were conducted) used property belonging to Riken (the ES cells) without proper authorization. IANAL, but it seems that it would be hard to establish that as a criminal theft in a court of law. Not to mention the great difficulty in establishing the identity of the person who actually used the ES cells without proper authorization, if indeed that actually can be proven beyond a reasonable doubt to have happened.